Dental emergencies are quite frightening and often painful. Prompt treatment is almost always required to alleviate pain and to ensure the teeth have the best possible chance of survival. Dr. Bradley Dilling is equipped to handle all types of dental emergency care so if you are in need of an emergency dentist in Fort Myers, it is important to contact us at the first sign of complications. We understand that after hours dental emergencies can and do happen, so we try to make sure we are accessible at all times. On the rare occasion that you cannot reach one of our staff in an emergency situation, we recommend you proceed immediately to the nearest hospital emergency room. At Avalon Dental, our goal is to treat each person who walks through our doors like a family member and give them the same kind of care we would give our best friends. This includes emergency situations. If you are currently experiencing a dental emergency, stop reading this and CALL US at 239-454-1150. Don't worry, we will take good care of you! 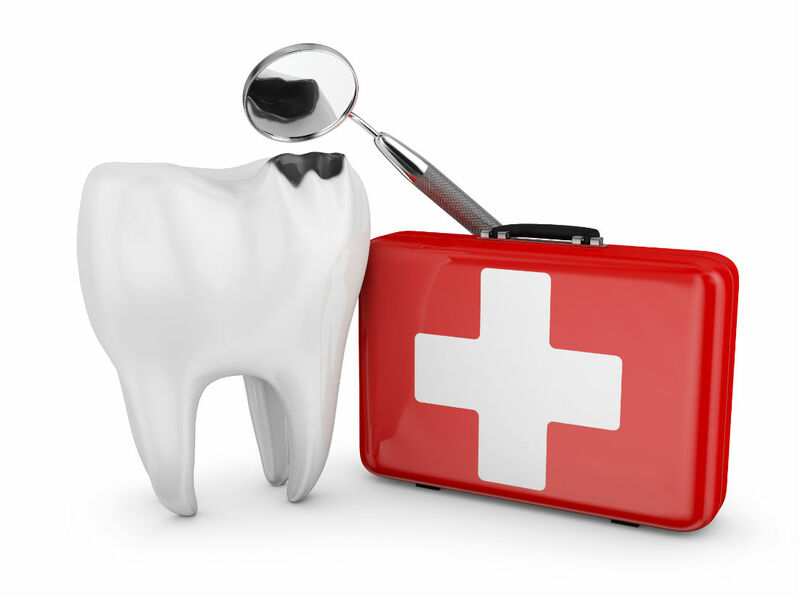 If you would simply like to learn more about dental emergencies, feel free to read on. Lines are often blurred between an urgent dental matter and a dental emergency. Very often dental emergencies are not life threatening. This doesn’t mean they are not urgent. For example, a tooth that has been traumatically broken or removed is considered a dental emergency and should be addressed as soon as possible. Any time there is swelling present it should be addressed urgently. Swelling in the mouth can spread and can potentially endanger the airway. Intraoral infections can be dangerous. The dentist should be seen as soon as possible for infections that accompany fever or malaise. Often antibiotics are necessary. Traumatic incidents often can be considered dental emergencies. Damage to the jaws, gums, or teeth can have disastrous outcomes. Persistent bleeding in the mouth should be addressed as soon as possible. Pain that is unidentified can be seen as a dental emergency. Often it is challenging to differentiate tooth, gum, or bone pain. If dental emergencies are not handled immediately, it can lead to bigger dental problems and even significant systemic health problems. Often these can manifest in a very short period of time. Swellings can be life threatening, tooth loss often can be reversed if handled promptly, and infections can spread to other areas and create permanent damage. We do recommend that if you are coming in as an emergency patient that you call prior to showing up so that we may do our best to get you treated as quickly as possible while at the same time take care of those who have schedule appointments. That being said, anyone who is in pain, has swelling, or a dangerous infection is always seen the same day. Existing patients with an emergency may call after hours to our regular phone line at (239) 454-1150 which will forward to our cell phones so that we are always available for our patients.